Back in the day when before Android took off, the Opera Mobile browser made a name for itself by being installed out of the box on Windows Mobile devices like the HTC Touch Diamond and HTC Touch Pro. Sure, both devices had Internet Explorer, but back then the Opera Mobile browser was considered to be almost in the same class as mobile Safari. In addition to Opera Mobile, Opera mini uses compression technology on less capable handsets that let Opera's servers handle the heavy lifting before zipping the page off to your phone. This saves users from spending too much of their valuable data allowance on browsing. Opera is making some changes. Next month it will launch the Opera Ice Browser which will use the WebKit engine instead of Presto, which Opera had used since day one. WebKit is the engine used on mobile Safari, Google Chrome and the Android stock browser. Instead of using buttons to navigate, the "Ice" Browser will use gestures to move forward and backward. Tabs are replaced by icons on a home page and new sites are accessed by typing in a URL or via search. To benchmark a site, an icon is placed on the opening page of the browser. The Opera Ice Browser will launch next month for iOS and Android. While Lars Boilesen, CEO of Opera, would not rule out a Windows Phone version of the software, the executive did say that "We need to focus on getting strong products out on iOS and Android. These are the two leading platforms we will focus on… They are the ones phones are being sold for." Boilesen also said that while Opera mini is a good browser, it is not up there with the leaders like mobile Safari and Chrome. 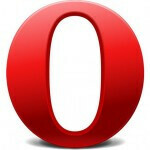 "Opera mini is great, but it is not a fully-fledged offering like Chrome or Safari. There are too many sites it doesn't work with," said the executive. He added that Opera will not be dropping Opera mini. "Mini is super important … It needs to be a platform where we create users and then migrate those users to over to our smartphone products." 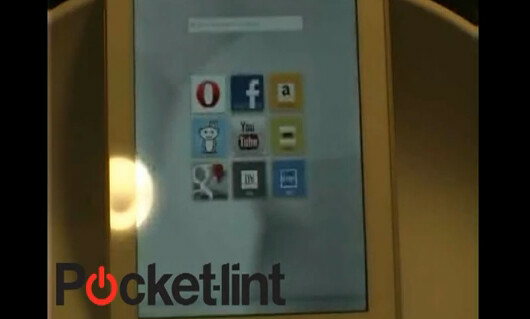 Boilesen added that a desktop Opera browser will be released in March. I like buttons instead of gestures. Doing multiple-finger actions gets really annoying after a while and they have more of a tendency to be accidently activated. I find it interesting that they're using Webkit instead of Presto. I was an Opera user, both for desktop and mobile, but I switched to Firefox awhile ago since it seems Opera didn't work like it used to. Still, I would definitely recommend Opera Mobile and Mini as 3rd party web browser alternatives. Both are WAY better than Chrome for Android. I Thought its an opera Ice os.Hahha, Great Browser. im so Excited.